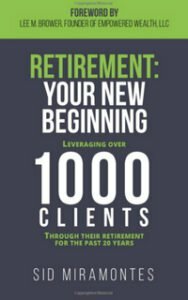 Posted at 08:58h in retirement planning by Brett F.
Your retirement is a long-awaited moment, but like any major life change there are some things to be aware of. The routine you have been accustomed to is changing drastically, which can cause some to be concerned about what to expect. That’s why we’ve gathered some key points to address what you can expect in the first three months of retirement. Though you’ve been dreaming to have more free time for years, once you retire you may realize there’s more free time than anticipated. You now have five more days of free time, that’s a 350% increase. For most, the first three to eight weeks feel like a vacation. Once the “honeymoon” phase is over, you might want to turn you focus on how you’ll be spending your free time. The best way to overcome that unsurety is to plan for it now. Have some ideas ahead of time to know how to spend your days and time. Retirement provides the opportunity to learn new skills, take classes, pick up a hobby, spend more time with family and even volunteer. Having an idea and plans of what you’ll spend time on beforehand will make the transition into retirement easier and allow you to feel a sense of purpose. One common concern about retirement is when the first social security or pension will come. It’s always a good idea to prepare before and speak with your company’s HR representative and financial professionals so you’ll be aware of important financial dates. You will also have the time to check your finances more consistently. Making sure your money is secure and checking in frequently on your portfolio is a more common practice during retirement. Our team at Miramontes Capital values communication so you will be more aware of your finances. Even after all of the years of planning, it doesn’t mean retirement will be exactly as you expect. Home and car repairs may be necessary. Medical and healthcare situations can happen suddenly. Family issues or emergencies can arise. Be aware that situations like this may happen. Discuss with your financial architect at Miramontes Capital to get guidance on how to prepare financially for retirement and anything it may throw at you. At Miramontes Capital we like to say that your retirement is your new beginning The first three months of retirement can be a major adjustment as you’re getting used to a new way of living. But having a plan and knowing what to expect can ease you into a rewarding and fulfilling retirement. Our team at Miramontes Capital can help you plan financially to make your retirement a great one. FOR MORE INFORMATION REGARDING RETIREMENT CONTACT MIRAMONTES CAPITAL. 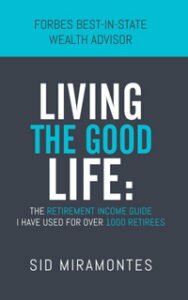 If you’re interested in reading more tips on preparing for retirement, plus real stories of retirees on what they wish they would have done differently, we’ve written a book just for YOU.And the best part – since you’re on my email list, you can get it completely FREE (normally it’s $17.95 on Amazon)! !